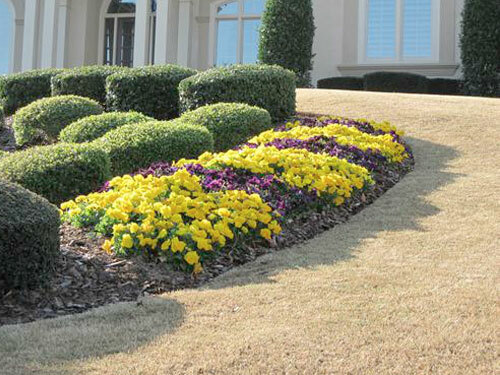 Mayer Landscaping specializes in arranging appropriate annual flowering plants for your home or commercial property. Annuals are a great way to beautify existing landscape features and provide the extra detail that lets your neighbors know you care about the look and health of your landscaping. We will be glad to work with you to choose annuals that will survive and thrive in your specific lighting and watering conditions. We also, perform soil tests on all our annual flower beds to inform us on what nutrients, if any the soil is lacking. This promotes healthier plants that will produce more blooms and last longer.